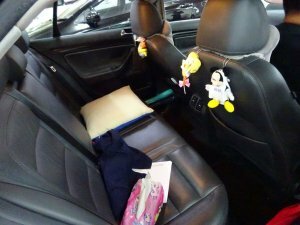 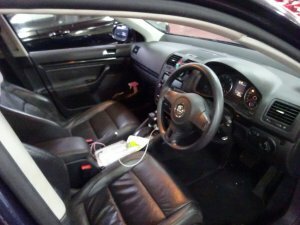 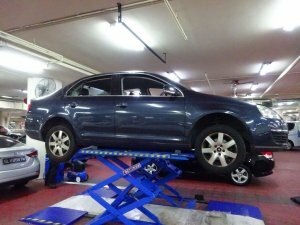 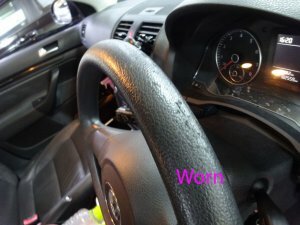 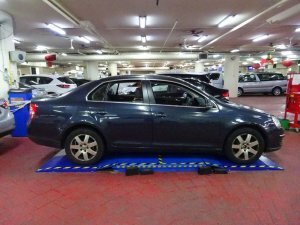 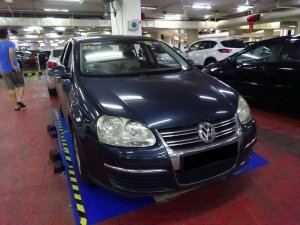 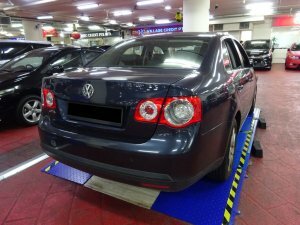 Airbags, ABS, Sport Rims, Leather Seats, CD Player, Reverse Sensors. 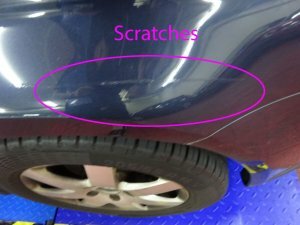 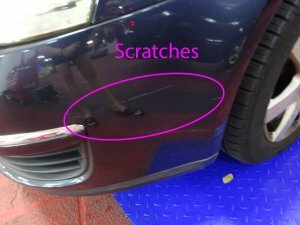 Scratches on bumpers, fenders and doors. 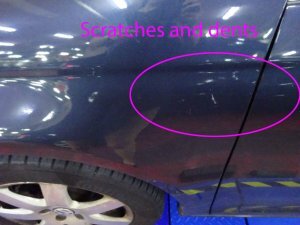 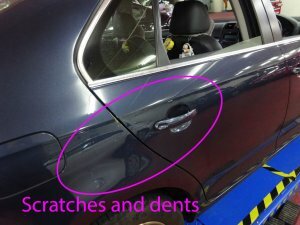 Dents on fenders and doors. 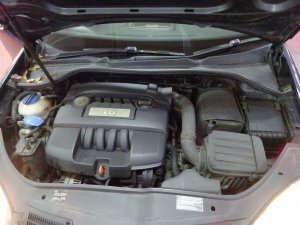 Headlights yellowish. 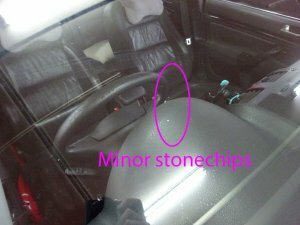 Minor stonechips on windscreen. 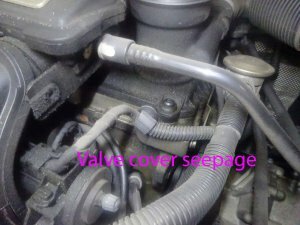 Valve cover seepage. 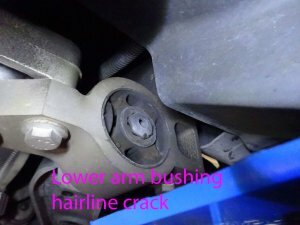 Lower arm bushing crack. 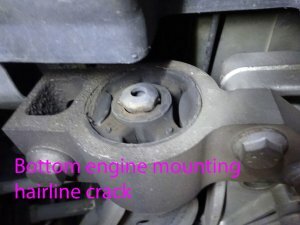 Bottom engine mounting hairline crack. 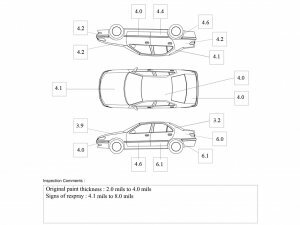 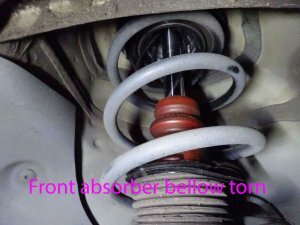 Front absorber bellow torn. 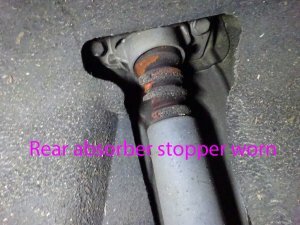 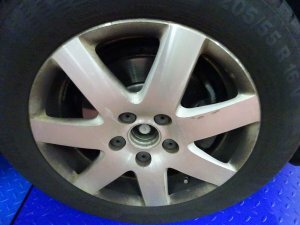 Rear absorber stopper worn. 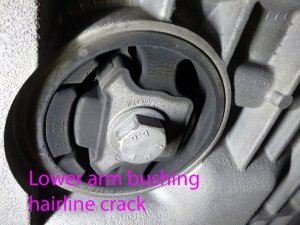 Fuel cap strap snapped. 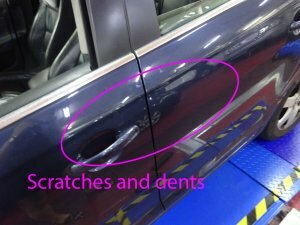 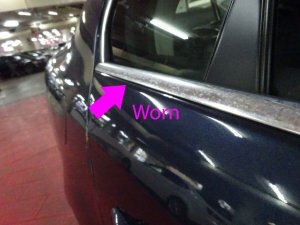 No, signs of repair on passenger back door and back fender.